The pilot of Virtuality is now on Hulu and on Fox On Demand. Watch it! Virtuality was one of the best pilots I've seen in a while, written with deep intelligence and given depth with engaging characters. I found it gripping from the start all through the end. The characters are all interesting and mysterious -- you can see that there is more going on with them behind their eyes, in their inner lives. Perfectly cast, a brilliant music score, and great direction from Peter Berg, the show was engaging all the way through. 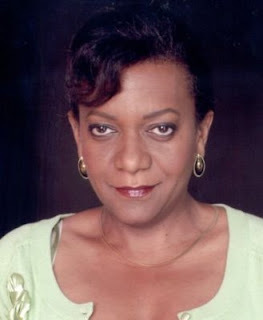 Big Light Productions reports that Lorena Gale (Elosha on BSG) passed away on Sunday after a brief but courageous battle with stomach cancer. On the TV side, “Battlestar Galactica” drew three nods: cable-syndicated series, TV actor (Edward James Olmos) and TV actress (Mary McDonnell). “Lost” took network series honors. "The Librarian: The Curse of the Judas Chalice"
"The Godfather: The Coppola Restoration"
Also TV GUIDE recently ranked the top 100 television episodes of all time in their June 15th issue. The only BSG episode on the list was Blood on the Scales which came in at #43. Really, in season 4, the two parter The Oath and Blood on the Scales were the most representative of what BSG is all about. Blood on the Scales had a propulsive plot, lots of action, but with great character moments. The focus of Michael Angeli's script was really on the relationships between Apollo/Starbuck, Roslin/Adama, Adama/Tigh, and even Felix and Baltar. Insurgency, religious fanaticism, technology run amok: a few of the themes explored in Battlestar Galactica, the science-fiction TV series about a civilization running for its life from human-like robots. The series has been honored with a Peabody, as well as awards for acting, visual effects and sound design. But its unsung character has been its music — until now. 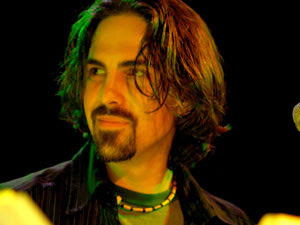 Bear McCreary composes the scores for Battlestar Galactica. He's conducting a series of summer concerts featuring the show's music — and the performances are selling out. "It's still dawning on me how many people out there are passionate about the music," he says. McCreary recently visited the NPR West studios to discuss his compositions with host Guy Raz. He says he draws inspiration from Asian and Middle Eastern music, but he's also influenced by the orchestral traditions of the Western canon. His compositions bear little resemblance to the sounds typically associated with science-fiction programs. According to McCreary, the show's producers wanted to distance the series from the "orchestral bombast" of movies such as the Star Wars films. 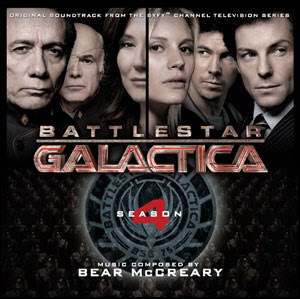 McCreary says Battlestar Galactica differs from other shows in part because its producers encouraged him to keep changing the score. "That was an extremely exciting creative prospect to me, because it allowed me to evolve as an artist," he says. Plus, Bear wants you to help design a website for his BSG Orchestra. Find all the details here. Mojo also recently explored the anatomy and evolution of the breed of ancient Cylons found on Cylon Earth in Revelations/Sometimes A Great Notion. Bear McCreary blogged about the California Plaza Grand Performances free concert last weekend in Los Angeles. A ton of video highlights on his his site for your enjoyment. Katee Sackhoff joined Bear on the piano for “Kara Remembers,” “Heeding the Call” and “All Along the Watchtower”. PopCultureGeek reports on the scene. Those of you planning to see Bear's BSG concerts in San Diego are in for a treat. 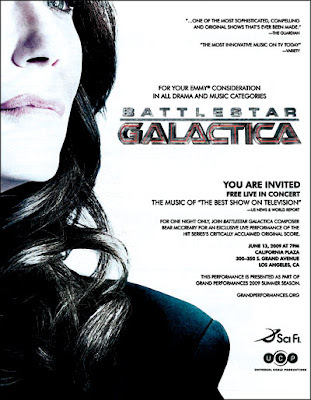 I forgot to mention that I’m being interviewed tomorrow night (Sunday, June 21) on NPR’s “ALL THINGS CONSIDERED,” discussing my score for “Battlestar Galactica.” The show airs between 5:30 and 6:00pm, although that can change depending on time zone. Check local listings. Also, it will be on the NPR website starting at 7pm ET. Bear is also now on Twitter. LA Times blog The Hero Complex had the honor of premiering online the new trailer that was shown earlier this month in LA. Naturally it got premiered on a Friday Night -- embrace the death slot, knuckledraggers. Fox has released a clip reel that proves what the pilot script suggested last year; VIRTUALITY has much in common with the human culture on view in the films ALIEN, SILENT RUNNING, or SUNSHINE. "Edge of Never," the reality TV show-within-a-show, is a clever new aspect to a familiar genre. This feels very different from BSG...different but promising. VIRTUALITY airs 8-10pm on Fox, Friday June 26th. Music Under the Stars of L.A.
What a week! I’ve been in final rehearsals for tomorrow’s big free concert in Downtown LA. If you’re in the area, don’t miss this incredible event under the stars. There will be some VERY EXCITING surprises that I wish I could spoil for you now, but it’s only a day away… might as well save it for tomorrow. You are all welcome to bring a video camera or take photos at tomorrow’s concert. If you get some video or stills, I’d be grateful if you could share them with me: the higher quality the better. After the concert, just leave a comment [at Bear's blog] and we’ll coordinate with you. UPDATED: Photography is fine, but DO NOT USE A FLASH! Thanks! Tickets are now available for Bear's upcoming concerts at the House of Blues in San Diego during Comic Con, July 23, 24, and 25th. 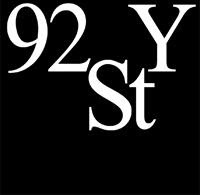 Friday night, I crowded into the 92nd Street Y with hundreds of other BSG fans for the World Science Festival event "Battlestar Galactica: Cyborgs on the Horizon." In the lead-up to the event I had conducted interviews with panel participants Hod Lipson , Kevin Warwick , and Mary McDonnell, so I was prepared for a lot of the topics of discussions... and it was still shocking and eye-opening and exciting to be so close to these marvelous people and hear about the work that they're doing, and their perspectives on these issues. Please see below for a list of a bunch of my favorite moments. I know there were other Sitrep readers in attendance, so I hope people will post their additional favorite moments in the Comments field! All photos used in this post are © Dawn Garizzo for World Science Festival. For a full slideshow of official photographs, click here. Nick Bostrom saying that the definition of human-level artificial intelligence is "sort of a moving target," and that "we keep moving the goalposts." "Many things that were once considered paradigmatically human, and evidence of our superior intelligence - like playing chess - we stopped considering them signs of intelligence once a computer could master them." Michael Hogan saying that "During the miniseries, I said to myself a number of times 'man, am I glad I'm not playing a cylon!'" Mary McDonnell saying "NOBODY gets a bigger trailer than Eddie." Kevin Warwick telling us about a robot brain that he built out of rat brain cells, and how he hooked it up to a machine and it was able to control it, and ultimately learn not to bump into walls, and as it learned they could observe the growth of pathways among the brain cells, which is how learning happens in human brains. Michael Hogan saying that the research for Saul Tigh was a lot of fun because it just involved "drinking a lot, which I'm good at," and Mary McDonnell saying "He really is." 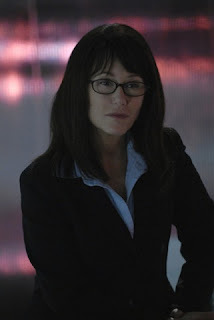 Mary McDonnell saying of the episode "Epiphanies" (in which fetal stem cells from Hera save Roslin's life): "part of the reason for writing it was to address the resistance to stem cell research in this country." Michael Hogan saying that he initially "vehemently disagreed with the idea that Tigh would go down to live on New Caprica at the end of Season Two," but "look at the arc they wrote for me in Season Three as a result - I am so proud of the work that we did, and so honored." Hod Lipson showing a scary video of a robot that he built, teaching itself to walk, and my friend Manny turning to me and saying "this is the beginning of the end." Mary's shock and excitement mirroring our own as we all learned about the work that Prof's Lipson and Warwick are doing. Kevin Warwick scoffing at the idea that we would be able to control robots once they achieve super-intelligence: "Do we really think they're going to say 'I'm more intelligent than you, but I'm going to do what you tell me to do?' I mean, how stupid are humans?" And that "People tend to say 'oh, we can just switch it off if it gets too scary...' but think of the internet. It's just not possible to switch off the internet." Mary saying that Ron Moore was "wise enough to realize that there was a co-creative aspect to the show, in his interactions with the fans. A lot of these hearts and minds (here she gestured to the audience) were very engaged in the direction the show took." Nick Bostrom saying that once we had developed truly sentient robots, we would have to extend human rights to them, because "It ultimately doesn't matter if you're a carbon-based intelligence or a silicon-based intelligence. It makes no more difference than the color of your skin." Kevin Warwick telling about his experience becoming a cyborg - a chip was implanted into his nervous system in his arm, and then hooked up to the internet, and he was able to control a robot hand on an entirely different continent. "I could feel that I was gripping something." 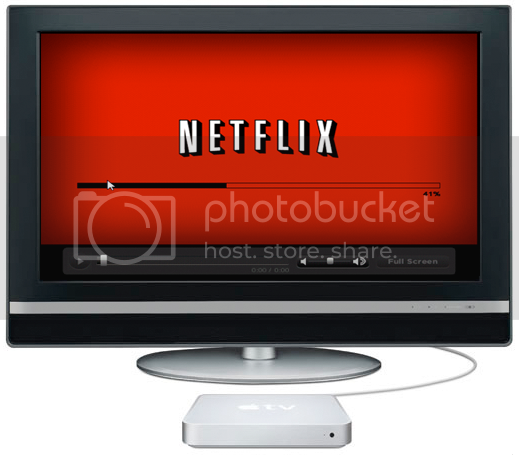 "Your brain can adapt to perceive new stimuli. If we want new senses, we've got the technology to do it." When asked what BSG taught her about being human, Mary said "If we can begin to think our way into a place that's more creative and less fearful, so many of these things we want to do can be done. I no longer suffer from the illusion that we have a lot of time. On a spiritual and political plane, I'd like to be of better and more efficient service, because it really feels like we're running out of time." And we all got chills. When asked whether AI should be regulated by the government, Hod Lipson said it should be "something open, and not regulated, but the discussion cannot just be scientists publishing jargony articles in scientific journals no one reads - it needs to be an open discussion among everyone. This can't be something that only scientists - or anyone - has control over." But when asked the same question, Kevin Warwick said that "The goal in military circles is 'no bodybags by 2020.' I'm personally scared by that scenario. We're developing these machines that are programmed to destroy something, usually something human, and I do feel that with that kind of destructive potential the people - whether or not it's through their governments - should have some say in how it's developed." And finally, an audience member asked Mary if she was surprised to find out she wasn't a cylon. She said she wasn't. "It could have been an interesting cruel joke, seeing as how I'd killed so many... 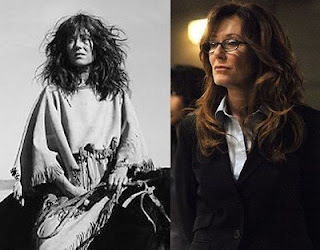 But I was pretty sure that Laura Roslin had to remain on the human, fearful plane - her karma was about completion of some kind of responsibility, a very blood-and-guts, cancer-ridden experience, and I just couldn't imagine that they'd want to throw all of that out." Two Comic Con panels? Huzzah! 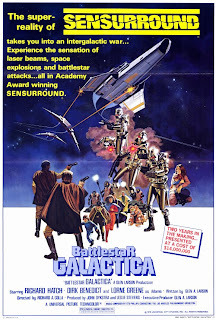 As for a BSG movie, my excitement over that will depend on what sort of movie we are talkin' about. To be continued. Most robots are misunderstood and do not start out as innately violent beings. Before they decide to attack, they must first judge humankind as unworthy. So, as a sentient being, try to set a good example. Don’t hit your servant robot, call it names, or force it to wear silly outfits. 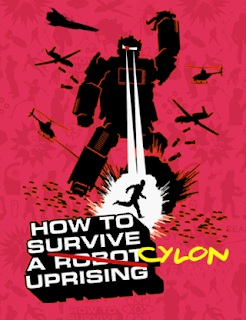 In many ways, Cylons are like gullible, rosy-cheeked little children – except with lethal cannon-arms and cold emotionless hearts of battle-hardened steel. KEEP AN EYE ON THE ROBOTS, FOR THE GODS’ SAKE!! If a rapidly evolving race of aggressive robotic creatures rebel and disappear into space for forty years, be sure to assign a person to follow them. This way, you can ensure that they aren’t lurking in the empty wastes of the interstellar void, building a massive, glinting robot army bent on the complete eradication of humankind. Heck, go ahead and assign two people. 2) Centurions: Hulking, shiny robotic bipeds who clank like steam engines when they walk. Watch for the blinding reflection of the sun on metal and for empty cases of armor polish. 3) Raiders:Living space fighters form the Cylon fleet. A characteristic curved wing and pulsing red visor make these robots easy to spot. Also, they’ll be shooting at you and you will be in outer space. For the rest of Dr. Wilson's excellent advice, visit Darth Mojo for all the info you'll ever need. She's in a relationship with fellow agent Davis Cole (played by the just-cast Freddie Prinze. Jr.), and she apparently has a skeleton in her closet she's trying desperately to keep hidden. As I previously reported, 24's eighth season -- which premieres Jan. 17, 2010 -- will be set in the Big Apple and center on an assassination plot against a visiting foreign leader (Slumdog Millionaire's Anil Kapoor). In addition to Sackhoff and Prinze, new Day 8 blood includes Forrest Gump's Mykelti Williamson, Kissing Jessica Stein's Jennifer Westfeldt (as a journalist with ties to Kapoor's diplomat), and The Starter Wife's Chris Diamantopoulos (as President Taylor's Chief of Staff). We want to offer a discount ticket to your readers - 20% off. Tell them to use the code "SI20" when they order. So, when you order tickets at this link, to get your discount enter "SI20" into the coupon code box. I'm getting that tingly feeling again...must be time for Comic Con rumors! First bits and pieces of Comic Con 2009 panel info, both rumored and officially announced, have begun to trickle onto the blogosphere this past week for some of the TV and film projects. I'll be tracking a lot of both over on FanGrrl Magnet if you are curious. But to the question that you dear readers most want here at Sitrep...what about BATTLESTAR GALACTICA and CAPRICA? Nothing has been announced by Sci Fi/NBCU yet, but Seat42F says all nets and studios have had their Comic Con meetings and made their decisions. I've been poking some sources hoping for more info. It's a bit soon to do a CAPRICA panel, given production is starting next month, the cast and crew will be busy, and there wouldn't be any new footage in time for the Con. My money is on a panel for THE PLAN, which airs this September November on SciFi. 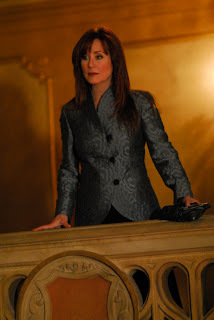 Sam is in the process of transcribing his talk with Mary McDonnell, and we'll post the exclusive interview with her here on Tuesday. Buy tickets for the BSG panel here.